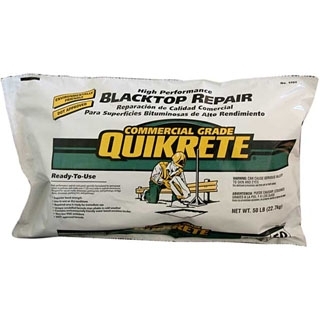 Quikrete Blacktop Repair 50lb contains very low VOC emissions and contains environmentally friendly water based emulsion binder. Features superior bond strength and is great for repairing blacktops or patching holes in asphalt surfaces. Doesn’t require heating or mixing and can be used in hot or cold weather. *Please call ahead to check availability!